Sometimes adults have a hard time understanding young people, and young people have a tough time understanding adults. Sometimes older and younger generations just need an activity for them to share so they can learn to relate to one another. 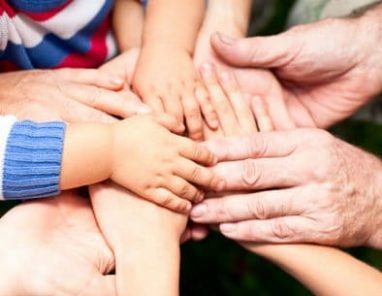 JOIN HANDS DAY was created by the American Fraternal Alliance and is meant to help create a bonding between young people and adults, and the bonding experience takes place across the nation on Saturday, May 4. May 4 will be a day for developing relationships between young people and adults through the help of neighborhood volunteering. Everyone works together to plan, organize, and coordinate the day’s activities, which in turn creates a sense of community. Events could include serving food at homeless shelters, tutoring children, or cleaning up local parks. There are so many opportunities for bonding people of all ages and helping to make a difference in the community. JOIN HANDS DAY is a unique day for everyone to get involved in their communities. It’s the only national volunteer event on the Seasons of Service calendar that works to unite young people and adults through volunteering. Members of the American Fraternal Alliance don’t just “join hands” on JOIN HANDS DAY, but instead, they work year-round to make a difference in their communities. The American Fraternal Alliance works with its 10 million members to improve communities through volunteer service and charitable outreach. However, this national is open to everyone and the American Fraternal Alliance encourages people of all ages to get involved. Clubs, groups, congregations, lodges, businesses, and individuals are all encouraged to get groups of people together and join hands to better the community. First, choose your focus. What will you join hands for? Will your focus be animals and the environment, homelessness or poverty, schools and education, health issues, or to help others in general? Once you choose your focus, plan your project and get others involved! You want your focus to be big enough so you can make a difference, but small enough that you can accomplish it with the time you are given. Registration for JOIN HANDS DAY is not required and participants are asked to plan and coordinate their own events, which is part of the fun! However, we have plenty of ideas if you need help deciding what your event will be. If you are looking for more ideas, check out some ideas from America’s Fraternal Alliance. You can also view the JOIN HANDS DAY Action Guide for everything you need to know about getting started. If you are looking for more ways to get involved on, get your family together and discuss whether or not you should donate an unwanted vehicle that you may have. When you donate a vehicle to Wheels For Wishes, benefiting Make-A-Wish, it will help to grant a wish for a local child in your own community. Car donation may be your ideal way to participate on JOIN HANDS DAY. It gets your family involved on the decision to donate a car, truck, SUV, RV, motorcycle, or boat, and it benefits a local child in your community at the same time. If you choose to donate a vehicle so you can replace it with another, it also bonds the whole family when you sit down and discuss what type of vehicle you would like to replace it with. Maybe your family will even enjoy car shopping together. If you have a vehicle to donate to Wheels For Wishes, benefiting Make-A-Wish, please call 1-877-431-9474 or fill out our easy online automobile donation form. For more information on joining hands this May 4, please visit the event website. Join hands with others and help make a difference in your community this Saturday, May 4. You will feel great about it!